The company has emerged as a major Exporter & Supplier of Domestic Pumps, with the range being inclusive of Monoblock Water Pumps, Non Clog Submersible Pumps, and Openwell Submersible Pumps. The working efficiency of the Domestic Pumps is beyond any comparison and the pumps last long enough without any major maintenance requirements. 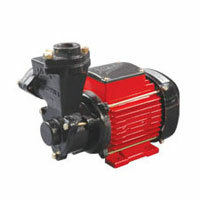 The customers can avail the Domestic Pumps at the market leading prices on a timely basis.